B.J. Raji shoved Clinton Dix in the chest and had to be pushed apart. Oh man, dont even go there, didn't the Vikings lead to NFL in arrests last decade? Was Peppers throwing the ball out of the endzone REALLY any worse then Moss pretending to wipe his #### on the opposing teams goalpost? Like im not trying to be confrontational, but seriously? Also, while I concur that Raji and HaHa were acting like dooshes, it hardly happens 'the minute we have some problems', its not like we haven't lost games before, and yet that #### fit on the sideline was something to behold and quite surprising to see. 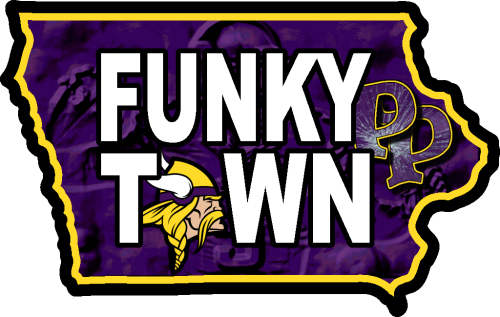 Green Bay like to play this little town owned team G rated theme stuff. works hard to change the details for the next situation. Well, Moss was "mooning". And he was just getting back at Packer fans for mooning the team bus after the games. I actually thought it was funny. But then I knew who he was mocking in the first place. Jordysghost wrote: Oh man, dont even go there, didn't the Vikings lead to NFL in arrests last decade? Was Peppers throwing the ball out of the endzone REALLY any worse then Moss pretending to wipe his #### on the opposing teams goalpost? Are people seriously still upset about that? How do they get out of bed in the morning to face this big, bad scary world?! Wow. I didn't see the Packers drama on the sideline, but I did see Peppers' jerk move. I don't get it. Supposedly he didn't know Cam always gives the ball to a little kid after a score? Does he live under a rock or...? Too weird. Raptorman wrote: Well, Moss was "mooning". And he was just getting back at Packer fans for mooning the team bus after the games. I actually thought it was funny. But then I knew who he was mocking in the first place. It was funny. Still is. Most celebrations are. When did ever deny that we played poorly? Outeide of the last 8 minutes that was the worse game ive seen us play since 2012. You literally ignored pretty much my entire post, yes I didn't like BJ and HaHa getting into it on the sideline, does that make fighting on the sideline a Packers thing like you are trying to spin it? Nope, because that is the first time ive ever seen that. I just.. don't really see how knocking the ball away is worse then mooning the fans.. at all. What 'reality check' did Rodgers get? You think weve never lost a game before? You can cut you preaching about how you respond to adversity speech, I've seen my team handle adversity and thrive many, many a time, and this year I anticipate it will be no different. Last edited by Jordysghost on Tue Nov 10, 2015 12:53 pm, edited 1 time in total. Funkytown wrote: Are people seriously still upset about that? How do they get out of bed in the morning to face this big, bad scary world?! Wow. Did you even read the thread, or just jump at the first chance to defend Moss being an unprecedented D bag on national television? (Well, outside of the whole walking off the field on his own team incident) I only brought it up because I fail to see how Pep throwing the ball is any worse then that. As to the whole Cam giving the ball to a kid after every score, well even I didn't know that, I don't see why Pep would be expected too. In literally the same exact post you both give me a hyperbolic snark over condemning Randy's actions, and then complain about Peppers actions, does that make any sense at all? Last edited by Jordysghost on Tue Nov 10, 2015 6:24 pm, edited 2 times in total. Yes because players acting like fans would just be all swell, you might as well just score a TD and walk sideline to sideline flipping people off. As I said, I hardly believe that when you guys lead the decade in arrests last decade and got caught up in that loveboat scandal that you guys were so quick to vilify for your own team. Did you even read the thread, or just jump at the first chance to defend Moss being an unprecedented D bag on national television? I do find it relevant to the discussion, though. Jordysghost wrote: Yes because players acting like fans would just be all swell, you might as well just score a TD and walk sideline to sideline flipping people off. Totally agree with you Jordy. Jordysghost wrote: I do find it relevant to the discussion, though. Can you name another incident that occured that was even similar to that situation? Seriously asking, because I cant. Scoring and making obscene gestures at opposing fans isn't real common in the world of nationally televised sports. Jordysghost wrote: Did you even read the thread, or just jump at the first chance to defend Moss being an unprecedented D bag on national television? (Well, outside of the whole walking off the field on his own team incident) I only brought it up because I fail to see how Pep throwing the ball is any worse then that. How about because one of these happened the other day and the other...over a decade ago...? Move on! The Moss moon is irrelevant to this discussion. But you always gotta bring it up for some sort of justification or comparison?! Yeah, that was forever ago. Why does it even matter? It doesn't. This whole Peppers/Packers drama stuff isn't gonna matter beyond next weekend either. See how that works? Let. It. Go.